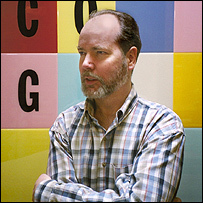 Douglas Coupland was a contributing blogger for the NY Times during August. There’s been some wonderful blogs, one of my favorites being a small rant about writing experimental fiction. Where Have All the Hustlers Gone? I was never a great pool player, but I could always hold my own against strangers at the bar. Betting never got beyond a buck here or there. My good friend Jesse once said we should learn to hustle, another activity in our long list of things we’d never get to like host our own local access cooking show and walk from Edinborough to Bristol. The thing is, I’d never seen anyone really hustle, not properly. I’d never seen someone walk away from a table with a couple hundred, or even a fifty. L. Jon Wertheim, a senior writer at Sports Illustrated, has offered this little piece about why hustling doesn’t exist anymore. 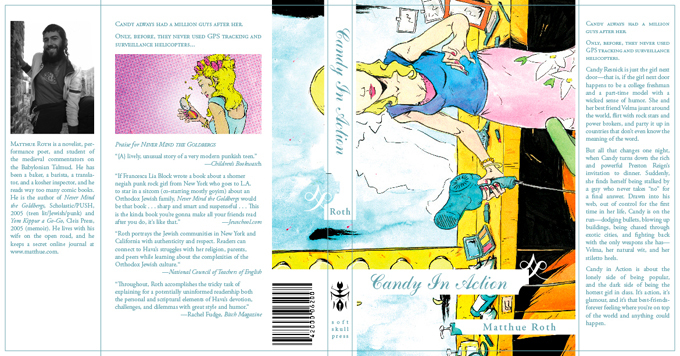 A book design that was ultimately rejected. Had fun making it though. This is a great article about superhero comics and their role in and around politics. After a very brief overview of comics in the 40s (comics in which Captain America used to beat up Hitler over and over), Julian Sanchez then explores the place of modern superheroes in politics, how comic writers approach politics, and whether it’s done well. There was a Captain America premise I loved–I think it was written by Rob Morales. Captain America is sent to Guantanamo Bay to oversee the trials for the detainees. Since the trials are closed, there needs to be a presence that assures our nation and the nations of the world that the trials are fair. Hence, the Cap, a hero everyone can trust. This article hits the nail on the head as to why this story, and so many others, ended up falling a little short.